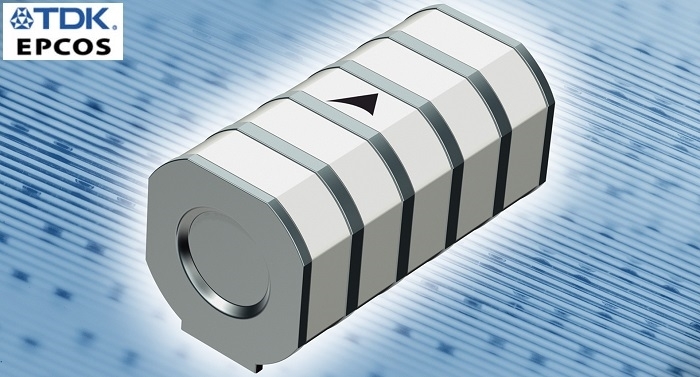 TDK Corporation has introduced new gas-filled EPCOS surge arresters designed especially for use in base stations. The components have three terminals and are able to extinguish over-voltages both from L to PE as well as N to PE. The new LNP20C-A1800AC-6C surge arrester is designed for an operating voltage of 250 V AC. It meets the IEC 61643-11 requirements for classes I and II and with a wave form of 8/20 µs, offers a maximum discharge current of 16 kA (class II). In order to offer the necessary overvoltage protection, the surge arrester is designed for a follow current of 1 kA. The response time is less than 100 ns. The RoHS-compatible component measures 39 mm x 26 mm x 27.5 mm and has an insulation resistance of >1 GΩ at 100 V DC. The main features of the LNP20C-A1800AC-6C surge arrester include its high discharge of current up to 16 kA and high follow current capability. It is also suitable for IEC 61643-11 class I and II applications. The surge arrester is meant for specific uses at base stations and telecommunications installations.